It’s been almost two decades and the first time in the Mark Cuban era, the Dallas Mavericks have drafted as high as the 9th pick in the NBA Draft. Missing the playoffs and finishing the year 33-49, Dallas needed an upgrade in scoring that has plagued them all season. The Mavs addressed that issue Thursday night, selecting point guard Dennis Smith Jr. from North Carolina State. 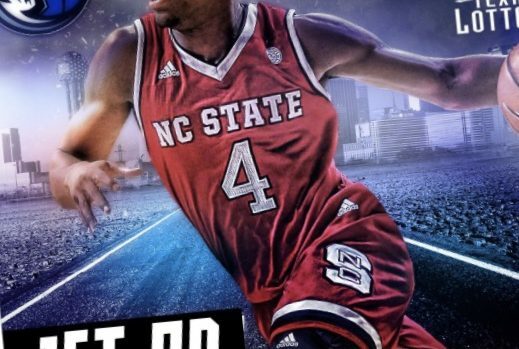 Dennis Smith Jr., the freshman from North Carolina State, won ACC Player of the Year for the Wolfpack along with setting the freshman scoring record averaging 18.1 points per game. In his lone year at NC State, Smith Jr. led all ACC freshmen in points assists and steals. Head Coach Rick Carlisle has expressed that Smith Jr. could be an immediate starter at point guard, but will have to earn the position. He will be thrown into the mix with Yogi Ferrell, Devin Harris, and J.J. Barea in the competition for starting PG..
Derrick Rose with a jumpshot and a more point guard oriented-Steve Francis have come up when Smith Jr. is discussed. If he can be any of those and a few more pieces are added, the Mavs could be headed back to the post season as Dirk Nowitzki enters his 20th season.